Throw away your spreadsheets! Simpleview CRM is your solution. User defined fields (UDFs) and Dropdowns allow your organization to cater data collection to your needs. In this webinar we will take the time to review best practices for managing these build-to-suit CRM options. Join Chris George, Director of Product Education, and Josiah Craig, CRM Training Manager, as they discuss the options afforded by UDFs and Dropdowns. Demonstrating the importance of forethought and planning, they will take you through the process of creating UDFs and working with Dropdowns. Correctly utilizing these features will help you maximize your CRM’s flexibility and power. Understand the difference between UDFs and Dropdowns. Use the various types of custom fields (UDFs) available. Put UDFs and Dropdowns to work for your organization. 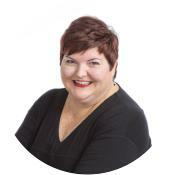 Becki is a Product Education Specialist, focusing on CRM training for travel and tourism professionals. Becki earned her education bachelor’s degree from Concordia University, Chicago and her M.Ed. from Cardinal Stritch University. Prior to joining Simpleview she taught high school and college literature and writing.